After completing his undergraduate study, Dr. Matsuno was accepted to Palmer College of Chiropractic in Davenport, Iowa, the most renowned chiropractic college in the world. During his four years at Palmer, courses included biochemistry, a major emphasis on anatomy and human physiology, X-ray, diagnosis, chiropractic adjusting techniques and patient care in the Palmer College Public Clinic. During his clinical internship, he was one of a dozen students honored to participate in the college’s clinic abroad program, where he traveled to India and treated thousands of local residents. While there, he also learned about the natural healing customs of India. This service was well accepted by the country and honored by the president of India. After graduating in 1998 with a Bachelor of Science Degree and Doctor of Chiropractic Degree, he further pursued a post graduate upper cervical Atlas Orthogonal program, and became one of only 200 board certified Atlas Orthogonal chiropractors world wide. 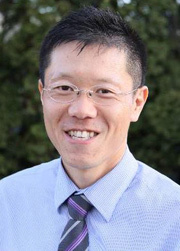 Dr. Matsuno decided to reside in Oregon to establish his private practice in 1999.